We all know what’s coming up…. Power Trips and Educational Development Conferences! Hands up if you are ready! DECA provides three types of competitions : Leadership, Career Pathway and Career Development conferences. If this is your first, second, third or even tenth, I suggest you get ready for an extraordinary trip. Explore: Get ready to get out of your comfort zone, meet new people and explore the city! It not very often you have the chance to fly out to a new state, and experience new places and people with your DECA chapter so be #Limitless and take advantage of these opportunities. 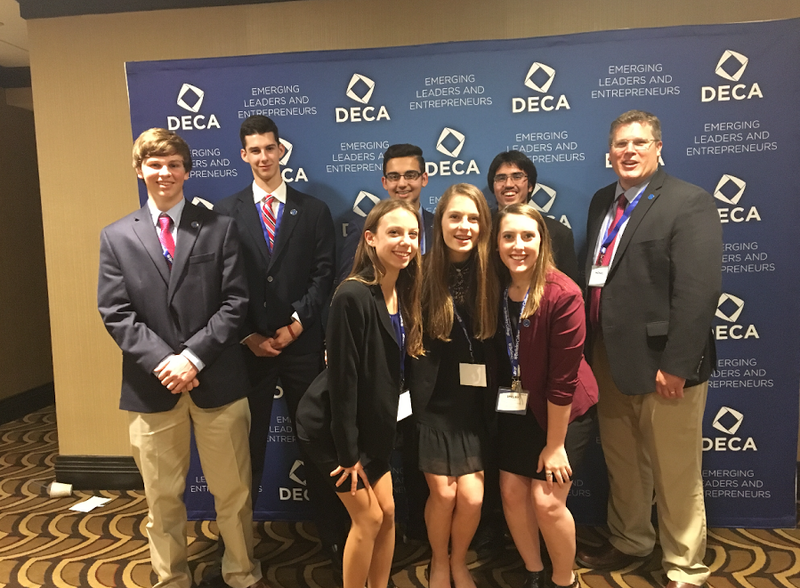 DECA conferences provide chances to learn new tips, ideas and pivotal information to help you in competition and the business world. Learn: These conferences are developed to inspire, promote leadership, and educate! Workshops and seminars are going on throughout the conference covering many topics that will help you for the future. From workshops teaching you how to write a business plan, how to prepare for a role play, to helping you speak more eloquently and how to ace professionalism and etc. These seminars have you covered! So don’t feel overwhelmed, choose a development workshop that best fits your needs! Expect: These conferences are held in some of the most unique cities and atmospheres you will ever encounter. At conference, you will be engaging in all sorts of DECA-tastic activities you may have never thought about being a part of nor ever knew existed. As a student you will be immersed with a lot of information that will help prepare you for your future, but don’t let that scare you! Instead, take advantage of it and expect that you will leave the conference future ready! With a “go-getter” mentality you are destined to take advantage of every moment at conference. Remember expand your horizons and don’t be shy to be outside of the box. Enjoy yourself and your trip, good luck!